If you haven't read The Emerald Atlas yet and don't wish to deal with spoilers, I would like to suggest that you stop reading now. 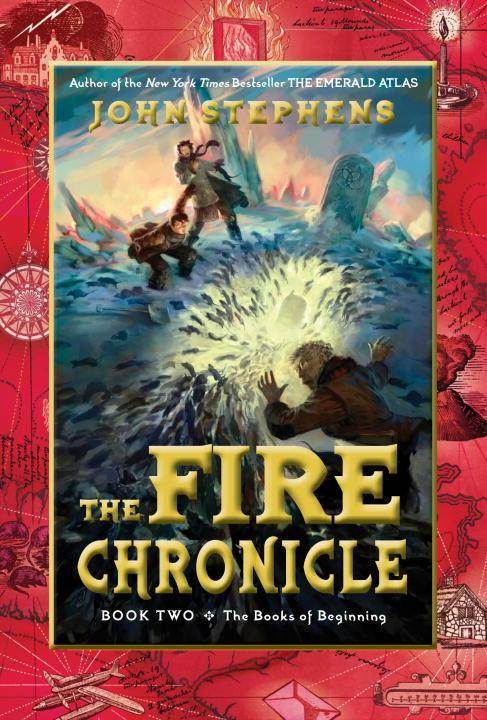 The Fire Chronicle is--after all--the second book in the Books of Beginning trilogy. I think I'd go so far as to say that I enjoyed The Fire Chronicle more than The Emerald Atlas. Why? Because Kate is stuck in the past for an important reason and it causes Michael to assume the role of eldest sibling (and in doing so, assume responsibility for Emma). However, that's not to say that Emma isn't becoming more responsible as well. She might be the youngest of the three, but Michael really isn't older than her by that much--or so she'd be happy to tell you. I will admit that I felt as if there could've been more Emma in The Fire Chronicle; believe me, you'll know what I mean. As for the plot itself, I'm trying not to say much about it. You know that Kate's in the past and that leaves Michael and Emma to find the second book--referred to as the Chronicle--which is really all you need to know going into The Fire Chronicle, in my opinion. You can also expect a fair bit of magic, traveling, and even a bit of fighting along the way as they hunt for the second book; as for Kate, well, she's got her hands full as it is, even if she doesn't realize it right away. In all, I'm definitely looking forward to seeing where the last book will take Kate, Michael, and Emma! 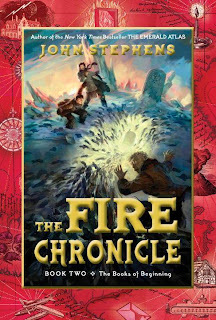 If you've read The Emerald Atlas and have been wondering if you should read The Fire Chronicle, I'd say that the answer to your question is... definitely! Admittedly it felt a little slow in the beginning (to me, at least) but once they leave the orphanage behind, the plot begins to pick up. Picked up from ALA Annual.